The Concise Oxford Dictionary (on CD-Rom, 11th ed. 2004) defines rationalism as “the practice or principle of basing opinions and actions on reason and knowledge rather than on religious belief or emotional response.” This is not the only meaning of the word. In philosophy the same term suggests “the theory that reason rather than experience is the foundation of certainty in knowledge” (ibid.). But we are not concerned with such technical meanings here. It is the first meaning that is generally known today and that is how I am going to use the word in this paper. Rationalism is not a property exclusively of the West. Every civilization, at one point of time or another, witnessed a struggle between faith and reason, instinctive or emotional response and knowledge. Even during the darkest period of the history of any people, the lamp of reason could not be totally extinguished. It is as much true of Europe during the Middle Ages as of India during the long stretch between the twelfth century and the nineteenth century. There were sceptics, agnostics and atheists even during the Vedic age. The Charvaka / Lokayatas had absorbed all such previous traits and finally produced a system of philosophy that was uncompromisingly rational and opposed to all dictums that were not founded on sense perception. Inference drawn from unverifiable premises and word or verbal testimony, even though coming from the works of Manu and others, according to Madhavacharya (Sayana)’s Sarva-darsana-samgraha, were unacceptable to them (249, 251). The Charvaka / Lokayata, however, seems to have completely disappeared before the fourteenth century. Blind faith in the authorities, secular or religious, was the guiding principle of Indian social life, both of the Hindus and the Muslims, throughout the pre-modern period. Only in the nineteenth century reason made its presence strongly felt, particularly in Kolkata (then Calcutta in English), thanks to Rammohun Roy, H. L. V. Derozio and the Derozians (the Young Bengal), Iswarchandra Vidyasagar, Akshaykumar Datta and, last but not least, the Positivists. Rammohun Roy in his First Conference between an Advocate for and an Opponent of, the Practice of Burning Widows Alive (1818) upheld reason in the following way: “the Sastras, and the reasonings connected with them enable us to discriminate right and wrong. In those Sastras such female murder is altogether forbidden. And reason also declares, that to bind down a woman for her destruction, holding out to her the inducement of heavenly rewards, is a most sinful act” (English Works 3 : 95-96). The English translation of the Second Conference (1820) was dedicated to the Marchioness of Hastings, Countess of Loudoun, etc. with these words: “The following tract, being a translation of a Bengalee Essay, published some time ago , as an appeal to reason in behalf of humanity…” (3 :101. Emphasis added). The Bangla original had no such dedication. This is for the first time in the history of Bengal, perhaps of India, that reason was harnessed along with humanity in the service of social reform. Iswarchandra Vidyasagar, on the other hand, knew full well that the Bengali people would never agree to listen to reason; to them religious texts and local customs were the final arbiter (II : 21-22). Hence before launching the movement demanding the enactment of widow remarriage, he relied exclusively on the interpretation of the Smriti texts rather than appealing to reason. In an earlier tract on the evils of child marriage (II : 3-9) Vidyasagar, however, had based himself on reason rather than religious texts, presumably because all major Dharmasastras were in favour of early marriage, the earlier the better. So any pre-emptive move by way of harnessing Sastric adages was out of the question. The above five senses are the avenues of our knowledge, by which we can get all sorts of knowledge, and without which we should be ignorant of every thing. By the exercise of those senses we gain experience, and experience produces the power of judgment of what is right and wrong, of what is good and bad. Therefore the senses are very advantageous to us. It has been asserted that it is “misleading” to characterize such books as “Secularist.” The autour (sic, meaning Vidyasagar) is described as “the well known Hindu reformer.” But this is no proof to the contrary. His reforms are purely social. So far as the writer (sc. Murdoch) is aware, he has kept himself entirely aloof from the Brahmo Somaj (sic) movement. Robert Owen, the Secularist, was also a reformer in his way. The writer described the above books, not simply as prepared by a Secularist, but as Secularist. He did so because the author deliberately stuck out the injunction to worship God; because his moral teaching has no reference to God’s will, but simply to what people around would think or do; because he omitted all passages [in The Rudiments of Knowledge published by Messrs. Chambers’] teaching the immortality of the Soul, the responsibility of man and the difference between him and the brutes that perish. If it is “misleading” to describe such books as “Secularist”, the writer confesses that he does not know the meaning of the term. It is very lamentable that such books should have been prepared by the most distinguished writer in Bengali, formerly Principal of a Government College, and that they should be those which have by far the largest circulation throughout the country. Let us go back to Rammohun Roy. He made his debut in religious controversy in a tract written in Persian (1804) called Tuhfat-ul Muwahhidin (A Gift to then Monotheists). After going through the small book one feels that it could be named with equal justice A Gift to the Atheists. The aim of life, Rammohun declares, is to live in peace without doing harm to anybody. He speaks neither of liberation (mukti) nor of realizing God as the end of life. He does not believe in the virtue of prayer as a means of getting rid of troubles (durgati) or cure from diseases. He has no faith in any revealed text. Nor does he feel any need of a Paigambar to mediate between God and humans (Racbanavali 717-29). In short, by rejecting both Brahminical creeds and Islam, Rammohun tacitly rejects all established religions. Everything being eliminated, only two entities remain – God Himself and Rammohun Roy (or someone who is a theist but has no faith in any institutionalized, established religion). The position is akin to that of the European deists of the seventeenth and eighteenth centuries, although Rammohun himself in later days had no respect for deism (Sastri 2:284). Some Europeans, however, used to consider Rammohun as a deist (Pauthier 697). Another small dialogue, Dialogue between a Missionary and Three Chinese Converts (English Works 4:77-79), is worth noting. The original Bangla version was written in the same year, 1823. Rammohun expanded some of the points in the English version (or the Bangla version was an abridgement of the English). The setting of the dialogue is as follows: A European Missionary, intending to examine his converts, said to them, “How many Gods are there, my brethren?” The first convert answered, “Three”, the second, “Two”, and the third, “None”. The Missionary was astonished. But the converts struck to their own grounds. The third convert, for example, replied: ‘Our minds are not like yours in the West, or you would not have asked me [why I say there is no God]. You told me again and again that there never was but one God, that Christ was the true God, and that a nation of merchants living at the head of Arabian gulf [the Bangla version specifically names the Jews], put him to death upon a tree [that is, crucified him], about eighteen hundred years ago. Brajendranath Seal suggests that Rammohun read David Hume and John Locke. Yet it seems that Rammohun had learned more from the works of Persian and Arabic writers of the Middle Ages than from any modern Western thinker. Regarding the “formative influence” of Rammohun, Seal has mentioned “Islamic culture” first, “the culture of Baghdad and Bassora (Basra), filtered through an Indian Madrassa” (3). Several years after this Rammohun learnt Sanskrit and got to know the Jain and Buddhist traditions as well as the views of the North-Indian sants such as Kabir, Dadu, Nanak and the Ramayets. It was only during his sojourn in North Bengal, in the early years of the nineteenth century that Rammohun acquired the elements of English. At Rangpur he ‘cultivated the literature of empirical philosophy and scientific thought from Bacon to Locke and Newton, as well as the propaganda of free thinking and “Illumination” in Hume, Gibbon, Voltaire, Volney, Tom Paine and others…’ (6). As Seal writes: “He (sc. Rammohun) drank eagerly from the fountainhead of modern freedom and was inspired by the spirit of the Age of Illumination” (6). Yet, Seal asserts, these studies did not cause a sea-change in Rammohun’s outlook. They ‘only confirmed him in his rejection of miracle, dogma and ritual to which he had already been led by his own reflections on the religions and scriptures of his country as well as by the teachings of the Mutazilas, the Sufis, and the Uttara Mimamsa. In fact, he became sceptically minded as to the claims of all “Sastras” and all historical religions’ (6-7). Even though Rammohun never lost faith in the existence of God and never condoned polytheism, his faith was grounded on logic; he would like to adduce reasons for his monotheistic conviction rather than declare that devotion was enough and arguments vitiate the mind. His polemics against the Christian missionaries on the one hand and the Hindu polytheists on the other, remain permanent sources of both entertainment and edification. It needs to be re-emphasized, as D. Biswas has rightly done (59), that Rammohun’s rationalism was not derived from the West. When he wrote his first Persian tract in 1804 (or 1805), he did not know English or any Western language well enough to read the works of the European sceptics or the Enlightenment thinkers. His mindset apparently had already been made up before he learnt English. What Western education (learnt privately, not in any academic institution) taught him only reinforced his conviction in the power of reason. created quite a sensation among the students in the then Kolkata. Besides writing two bulky volumes on the Indian devotional communities, he also produced a large number of primers on basic sciences such as astronomy, geography, geology, physics, etc. He coined new Bengali terms for modern science and many of his terminology are still current in Bangla. He was a Baconian through and through and considered the works of Bacon and Comte to be “our sastra”, as much as the works of ”Bhaskara and Aryabhata as well as Newton and Laplace” were (M. Roy 95). Akshaykumar had the greatest reverence for Rammohun and criticized the Brahmos who were antipathetic and antagonistic to science (2: 30-33). His study of the ancient Indian philosophical systems is a marvel of scholarship.3 His sole intention was to prove that most of the philosophical schools, such as Samkhya, Old Nyaya, Mimamsa and even Vedanta, not to speak of the Charvaka, were atheistic (2: 1, 23, 29, 54). The impact of Western education is to be found in the next generation of youths who had H. L. V. Derozio (1809-31) as their teacher at Hindu College. Ramgopaul Ghose, his pupil and one of the august members of the so-called Young Bengal (Peary Chand Mittra even narrowed it down to Young Calcutta) declared the motto of his master in this way: “He who will not reason is a bigot; he who cannot is a fool; he who does not is a slave” (qtd. in S. Sarkar 101). Words like these should be inscribed in every school and college in letters of radium. Then there was Madhub Chunder Mullick who wrote in the college magazine, “If there is anything that we hate from the bottom of our heart, it is Hinduism” (Sastri 2:290). Russic Krishna Mullick, while attending the court of law as a witness, refused to take oath by touching a copper vessel, Tulsi (Ocimum sanctum) leaf and holy water (as was customary), because, he said, “I do not believe in the sacredness of the Ganges” (Sastri 2:315). Needless to say, Derozio and his worthy pupils drew inspiration from British thinkers like David Hume, not from any Oriental strand of rationalism as Rammohun had done. Derozio in his letter to H. H. Wilson declared: “Entrusted as I was for sometime with the education of youth, peculiarly circumstanced was it for me to have made them pert and ignorant dogmatists.... I therefore thought it my duty to acquaint several of the college students with the substance of Hume’s celebrated dialogue between Cleanthes and Philo [Dialogues concerning Natural Religion, posthumously and anonymously published in 1779] in which the most subtle and refined arguments against theism are adduced” (qtd. in Mittra, 26). Yet Derozio was not trying to substitute one set of faith by another, that of atheism, both based on verbal testimony (aptabakya). It was not a case of brainwashing to be replaced by counter-brainwashing (what some ultra- rationalists in present-day Bengal have tried to do, with no perceptible result at all). In the same letter Derozio added that side by side with Hume he had also furnished his students with “Dr Reid’s and Dugald Stewart’s more acute replies to Hume, — replies which to this day continue unrefuted. This is the head and front of my offending” (Mittra 26). He further stated: “That I should be called a sceptic and an infidel is not surprising, as these names are always given to persons who think for themselves in religion…” (Mittra 29). The seeds that Derozio had sown continued to bear fruits even after his death in 1831. “The stormy petrel of our renaissance” (as Susobhan Sarkar (104) has called him) had set a trend that was not to wither away with his death. His students were active in social and intellectual life. They read Tom Paine’s Age of Reason even by paying black-market price of Rs. 8 per copy. One publisher sold one hundred copies of this book at Rs. 5 each. The Englishman complained that the students of Hindu college were “all radicals, and the followers of Benthamite principles.” Their shortlived journal, The Enquirer and a bilingual periodical, Gyananaeshun, in which remarriage of Hindu widows had been strongly advocated before Vidyasagar did it, reflect the spirit of revolt as well as keen intellect. After Derozio, David Hare became the president of the Academic Association. He was a philanthropist also known as an atheist. Then there was the Society for the Acquisition of General Knowledge and the Epistolary Association for exchanging opinions among themselves. The contribution of Peary Chand Mittra and Radhanath Sickdar to Bangla prose is universally recognized. The former in particular is to be commended for introducing the low or plain style in his novel and sketches. In short, the Young Bengal were both path-breakers and path-makers at the same time. I have already mentioned two distinct sources of rationalism in Bengal: the first, indigenous or Indian, the second, exogenous or foreign. Rammohun and Vidyasagar first learned their rationalism from indigenous sources, which can be traced back right from the sceptical and agnostic hymns in the Rigveda down to the medieval authors of astronomy, civil law and philosophy. Many scholars have mentioned such works and noticed the similarity between Rammohun and medieval Arab thinkers (D. Biswas 47-48, 56,72, 84 n141). Let me here digress a little and adduce several more instances of rationalism in practice in the ancient and medieval Indian tradition. These would, I hope, suffice to refute the misinformed postmodernist view that rationalism is a Western phenomenon that appeared only during the eighteenth-century Enlightenment in Europe and came to India in the wake of British colonialism and was embraced by the babus (as Kabiraj (35-58) would have us believe). Now to the examples. The Anusasana Parvan of the Mahabharata speaks of rationalists (hetukas) who claimed that there was no truth beyond what can be directly perceived (logically inferred) , but they admitted the possibility of doubt in respect of perception (and inference) as well (147.5). The same source also states that truth transcends formal logic (147.7). Three and only three instruments of cognition (pramanas) are mentioned, namely, direct perception, doctrines proposed by the scriptures, and the practice of the sishta-s (eminent people) (147. 9, cf. 147. 17-20). Inference is not accepted as a separate instrument presumably because all inferences need to be preceded by perception. The Charaka Samhita states, “Everything falls into one or the other of the two categories – true and untrue. The method of investigation is fourfold: authoritative testimony, direct observation, inference and reason (yukti)” (1.11.17). Bhaskaracharya (born 1036 Saka = 1114 CE) continues the same rational tradition by rejecting agama (scripture) and declaring: “In the astronomical department scripture is authoritative only when it is supported by demonstration” (qtd. in Muir 2:161 n183). Jimutavahana of Bengal (between eleventh century and fourteenth century CE) in his digest on the law of inheritance categorically declares that those who know nothing but the authority of old teachers (acharyas) would not be able to appreciate his work, which is meant for those whose intelligence is guided by logical proofs (15.1; 232-33). Similarly, Suryadeva Yajvana in his commentary on the Aryabhatiya, the seminal work of Aryabhata, rejects the innovation of one acharya called Prasastidhara, for, he says, “We rationalists (yauktikah) cannot approve of it” (qutd. in Aryabhatiya III: xlv). He further declares that when several works (Sastras) on astronomy disagree or vary, he has resorted to (astronomical) instruments for testing which view is right (Commentary on Laghumanasa of Munjala, 3. 6-7, quoted in ibid. xlvi). Such open minds, though rare, were not altogether absent in India at any point of time. They had no need for modern European science or logic to arrive at their conclusions, irrespective of and indifferent to what the religious authorities might have prescribed. The appearance of Rammohun and Vidyasagar does not signify a total break in the tradition but a continuity of a barely noticeable (and hence largely ignored) trend. The intellectual ambience in nineteenth-century Bengal was of course a little more congenial for them than it had been for their predecessors. Nevertheless it cannot be denied that rationalism came to Bengal, nay India, in a totally new garb with Derozio and the Derozians. They drew their inspiration from the Renaissance and Enlightenment thinkers of Europe and burst vigorously upon the stagnant pool of Bengal. In spite of the serious reservations on the part of some of them, some others held Rammohun in great esteem (D. Biswas 416-96). It is therefore in the fitness of things that they would lend their support, not merely verbally but actually, to the widow remarriage agitation initiated by Vidyasagar. One distinction, however, is to be made between the impacts of the two strands of rationalism: the first, represented by Rammohun and Vidyasagar, proved to be more powerful and long-lived than the second. The Young Bengal petered out after the 1850s without leaving any successors. The move for social reforms led by Rammohun and Vidyasagar was continued by both enlightened Hindus and Brahmos (first by Keshub Chandra Sen and his followers, and then by the Sadharan Brahmo Samaj). The social reformers were not rationalists in the absolute sense of the term. They did not preach or practise a totally secular attitude to life. But the positive aspect is that they dared to swim against the current and through words and deeds challenged the status quo ante, which the religious fanatics, conservatives and no-changers of both Hindu and Muslim communities persisted in upholding. The Young Bengal formed an elite group of their own, hopelessly alienated from the masses of the people. Our social reformers, on the contrary, succeeded in reaching the village as much as the town. Admittedly, their work was confined to the so-called upper castes of the Hindu society. In spite of this limitation, commoners of Bengal could take sides either for or against the proposed reforms. The campaign of Young Bengal simply went over the head of the generally educated people. Hence, somewhat frustrated to see the zero effect of their attempts, most of the Derozians ultimately turned dipsomaniacs, alcohol being the only refuge left. Aurobindo Ghose (later Sri Aurobindo) later• described them as follows: “They were giants and did everything gigantically. They read hugely, wrote hugely, thought hugely, and drunk hugely” (8). An unkind judgment, but how true! Compare with this his eulogy of Vidyasagar, Akshaykumar Datta and others (6-7), and the soundness of his observation will be crystal clear. Consider also how Michael Madhusudan Dutt portrayed the Young Bengal in his brilliant farce, Buro Saliker Ghare Ro (1860). Another, exogenous source for rationalism is to be found in the introduction of positivism in Bengal. We need not go here into the details of its formation and its impact on the Bengali society. Suffice it to say that, unlike the youthful Derozians, the positivists in Bengal were a sober lot, seldom going against the customs of the Hindu society.4 Most of them were well-established lawyers, landlords and teachers. Interestingly enough, in a list of contributors to the Indian Positivist Society we find, besides the expected names of Jogendra Chandra Ghosh, Nagendra Nath Ghosh and Krishna Kamal Bhattacharya, the names of Janakinath Ghoshal, brother-in-law of Rabindranath Tagore and a moderate Congressman, Hemchandra Banerjee, presumably the well-known poet, and W. C. Bonnerjee, first president of the Indian National Congress. There is another name, Iswar Chunder Bannerjee, who contributed only once in 1887 (Forbes 113-14). Could this be our very own Iswarchandra Vidyasagar (or Eshwar Chundra Shurma, as he used to sign his letters)? Most probably he is. He was a friend of Dwarika Nath Mitra, a famous lawyer who learned French in order to read Auguste Comte in the original. Shibnath Sastri records how Vidyasagar used to discuss the doctrines of positivism with Mitra and once gave a thorough exposition of this philosophy to the great admiration of Mitra and other listeners (Sastri in Biman Basu (ed.) 22). There is still a copy of Comte’s The Catechism of Positivism in Vidyasagar’s much depleted private collection now housed in the Bangiya Sahitya Parishat, Kolkata. It may also be noted that Akshaykumar Datta considered Bacon and Comte as the two suns in two regions [England and France] (2: 53). So great indeed was the influence of positivism on the English-educated Bengalis that Kenneth M. Macdonald, the Rev. professor, had to write against Girish Chandra Ghosh whose journal, The Bengalee, promoted the cause of Comte. Macdonald made use of Nabagopal Mitra’s National Magazine in his polemics against The Bengalee. He also delivered a speech, “Comte the Positivist” at Canning Institute, Howrah. The speech was translated into Bangla as Dhrubabadi Agast Komt and published from Calcutta in 1281 BS (1874 CE). The positivists all over the world, including those of Bengal, were called atheists, as Comte himself had set out “to examine, on rational principles,” the form of catechism for the exposition of his homespun “religion of humanity”. I propose to end this brief survey by pointing out that although the positivists, like the Young Bengal, were no better than a small elite group, having little or no connection with the masses, they contributed a most spectacular character to Bangla literature – Jethamasai in Rabindranath’s enigmatic novel, Chaturanga (Four Sections). 1 The Bangla version, “Padri o Sishya Sambad” (Rachanabali 262-63), does not contain the name of Confucius; the last speech is allotted to all the three disciples. 2 The equation is reproduced somewhat differently in N. Biswas ( qtd. B. Bandyopadhyay 30), A. K. Bhattacharya (27) and D. Chattopadhyaya (112). 3 For a detailed analysis see R. Bhattacharya (2003) 158-71. 4 A comparison of Jogendranath Bhattacharyya’s Hindu Castes and Sects (1896) with Akshaykumar’s Bharatbarshiya Upasak Sampraday will reveal that Bhattacharyya was not prompted by any desire to study “the mental disease” of the people who founded the sects. Datta on the other hand clearly states that he considered these religious sects to be work of mental aberrations (2: 316; Lahiri 140-42). Aryabhata. Aryabhatiya. Part 3. Ed. K. V. Sarma. New Delhi: Indian National Science Academy, 1976. Sri Aurobindo. Bankim Chandra Chatterji. Pondicherry: Sri Aurobindo Ashram, 1964 (first published in Indu Prakash, Bombay in 1894). Bhattacharyya, A. K. “Akshay Dutt: Pioneer of Indian Rationalism”, The Rationalist Annual, 1962. Chattopadhyay, Debiprasad and Mrinal Kanti Gangopadhyaya (eds.). Carvaka/Lokayata. Eds. New Delhi: Indian Council of Philosophical Research, 1990. Chattopadhyay, Debiprasad. “Four Calcuttans in Defence of Scientific Temper”, Indian Journal of History of Science, 29: 1, 1994, pp. 11-19. Forbes, Geraldine Hancock. Positivism in Bengal : A Case Study in the Transmission and Assimilation of an Ideology. Calcutta: Minerva Associates, 1975. Gandhi, M. K. Christian Missions: Their Place in India. Ed. B. Kumarappa Ahmedabad: Navajivan Publishing House,1957. Kaviraj, Sudipta. The Unhappy Consciousness. Delhi: Oxford University Press, 1995. Mahabharata, The. Critically edited by V. S. Sukthankar and others. Poona: Bhandarkar Oriental Research Institute, 1933-66. Mitra, Peary Chand. Biographical Sketch of David Hare. Calcutta: Basumati Sahitya Mandir, 1949 (first published 1877). Muir, J. Original Sanskrit Texts, Vol. II. New Delhi: Oriental Publishers and Distributors, 1976 (first published 1871). Pauthier, G. Review of Rammohun Roy’s Translation of Several Principal Books, etc. (1832) in Revue Encyclopédique. Tome LVI, December, 1832, 694-706. Roy, Raja Rammohun. The English Works of Raja Rammohun Roy. Eds. Kalidas Nag and Debajyoti Burman. Kolkata: Sadharan Brahmo Samaj, 1995 (first published 1945-1952, in seven volumes). Sarkar, Susobhan. On the Bengal Renaissance. Calcutta: Papyrus, 2002. Urwin, Kenneth. A Century for Freedom: A Survey of the French “Philosophers”. London: Watts & Co, 1946. Bandyopadhyaya, Brajendranath. Akshayakumar Datta. (Sahitya Sadhak Charitamala 12). Bangiya Sahitya Parishat, 1348 BS (Bengali Sal / Year). Basu, Biman (ed.). Prasanga Vidyasagar. Bangiya Saksharata Prasar Samiti, 1991. Bhattacharya, Ramkrishna. Kamarer Ek Gha. Pavlov Institute, 2003. –––. “Bankimchandrer Dharmachita: Asangatir Utse”, Charan Parva. 1:2, 1401 BS. Biswas, Dilipkumar. Rammohan Samiksha. Saraswat Library, 1983. Biswas, Nakurchandra. Akshayacharita. 1294 BS. Chakraborty, Ajitkumar (ed.). Maharshi Debendranatha Thakur (1936). Satish Chandra Chakraborty (ed.). Debendranath Thakurer Atmajivani. Visvabharati, 1962. Datta, Akshayakumar. Bharatavarshiya Upasak Sampradaya. Karuna Prakashani, 1394, BS. Datta, Michael Madhusudhan. Rachanavali. Haraph Prakashani, 1973. Gupta, Bipin Bihari. Puratan Prasanga. Vidyabharati, 1373 BS. Indramitra. Karunasagar Vidyasagar. Ananda Publishers, 1992. Lahiri, Ashishs. Akshayakumar Datta: Andhar Rate Ekala Pathik. Dey’s Publishing, 2007. Ray, Mahendranath. Babu Akshaykaumar Datter Jivanvrittanta. 1292 BS. Ray, Rammohun. Rammohan Rachanavali. Haraph Prakashani, 1973. Sarkar, Binaykumar. Binay Sarkarer Baithake. Chakraborty, Chatterjee & Company, 1982. Shastri, Shibnath. Ramtanu Lahiri o Tatkalin Bangasamaj in: Shibnath Rachanasamgraha. Vol 2. Saksharata Prakashan, 1976. 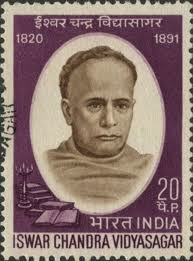 Vidyasagar Iswarchandra. Rachanasamgraha. Vol. 2. Vidyasagar Smarak Jatiya Samiti, 1972. This article was first published in Psyche and Society (Kolkata), 10:1, May 2012,43-51.